SHE'S DESTINED TO DESTROY THE WORLD... "Cat" Catalia Fisa has been running from her destiny since she could crawl. But now, her newfound loved ones are caught between the shadow of Cat's tortured past and the threat of her world-shattering future. So what's a girl to do when she knows it's her fate to be the harbinger of doom? Everything in her power. BUT NOT IF SHE CAN HELP ITGriffin knows Cat is destined to change the world-for the better. As the realms are descending into all-out war, Cat and Griffin must embrace their fate together. Gods willing, they will emerge side-by-side in the heart of their future kingdom...or not at all. WHAT A RIDE!!!! I think my heart is still beating, but what a rush this book was!! My goodness, I fell even more in love with Cat and Griffin than I already was. How can you NOT love these two? I just wanted to stomp and cheer for these two. In Breath Of Fire, the author really steps up the action, suspense and mythology connections. This book really just blew me away in so many different ways and I think I liked it even more than the first book. It sets off with Griffin none too happy with Cat, and I honestly don’t blame him. These two battle it out a bit, and I understand why Cat is hesitant to be honest with him especially with what we know and learn about her past. But I love how much Cat and Griffin learn and grow together. There is quite of bit of intensity in this book, but these two are just solid. I love how much faith Griffin has in Cat and her abilities. He never loses that and there are so many moments here where he just lifts her up even when she doesn’t want to be. Cat learns more about her abilities, and what she is capable of but even more important than that is the way she discovers what she and Griffin has is worth fighting for. This book takes us through some suspense scenes and man this author knows how to write a book to keep you hooked till the end. I just didn’t want to put this one down at all. What I truly loved was seeing the way these two fight for each other, but even more than that they fight for those they love and to make a better world for everyone. We get some more development of other side characters too, I love seeing all my old favorites. Griffin’s family are just wonderful, and we see a change in his sisters especially and I just fell in love with them even more in this book. I love how they all stand with Griffin and Cat. We also get some more fun times with the “gods” and boy was that some fun twists with the Greek Mythology that this author has implemented. It’s definitely different when they support Griffin and Cat and what needs to be done. And the wake up call they give Cat to give her the strength to do what needs to be done. The romance between Griffin and Cat is truly one that gives you all the feels. Their relationship just becomes strong as iron in this book. We see how with all that they face, how powerful they are together. Their chemistry is fiery hot, but the way they fight and support each other is truly magnificent. They are becoming one of my favorite couples. If you need to read a story of the strength of what true love really is….Cat and Griffin is a love story you need to open yourself up to because its powerful and unique. What a cover!!! I love the blue and the icy feel to the cover. It also gives the right feeling and tone to the story…..intense and powerful. Breath Of Fire is a stunning continuation of Griffin and Cat’s adventure and love story. It packed with discovering truth, fighting for what is right against unbeatable odds, and a romance that is first rate. 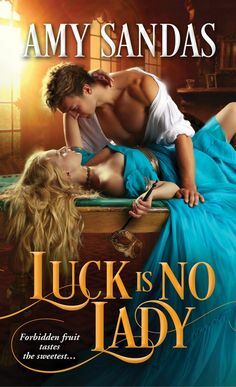 FANTASY ROMANCE AT ITS BEST!